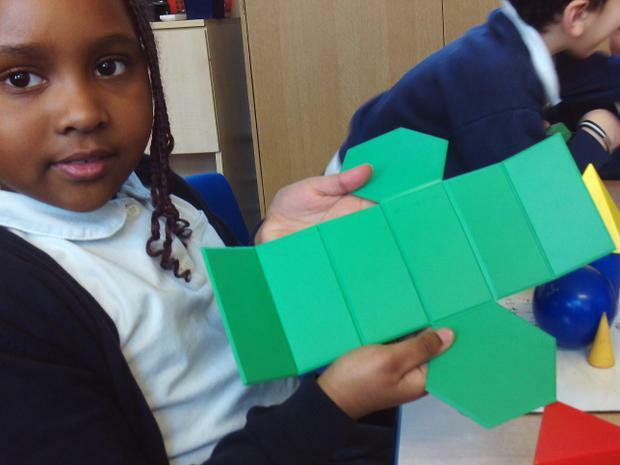 This half-term, Year 2 are learning all about dinosaurs! 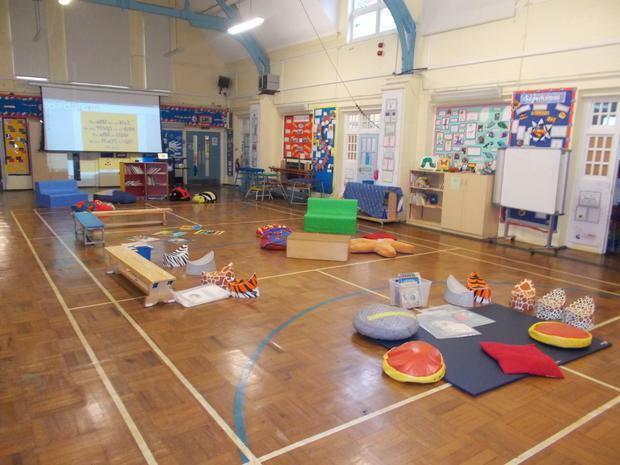 We will be looking at four different types of dinosaurs - T-Rex, Stegosaurus, Diplodocus and Triceratops. 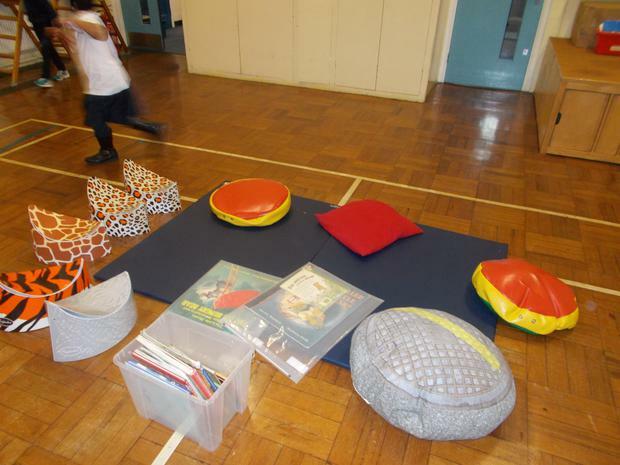 We will be learning things such as what they looked like, the habitats they lived in and what they ate! At the end, we will have learnt enough to write a report comparing the dinosaurs. 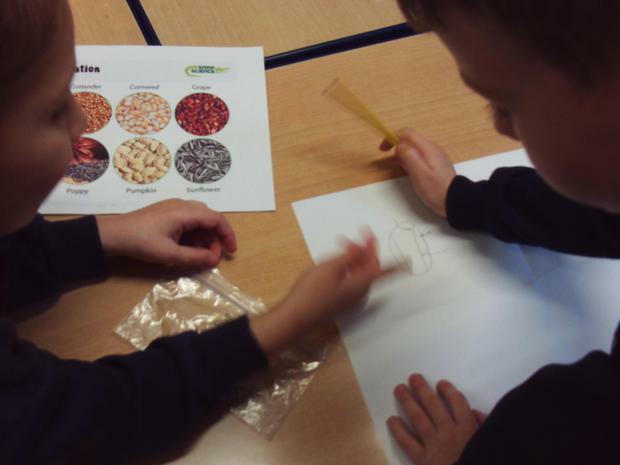 Our Science topic on plants will continue. Our pupils will have the chance to enter a competition to grow their own sunflowers - the person with the tallest sunflower will win! 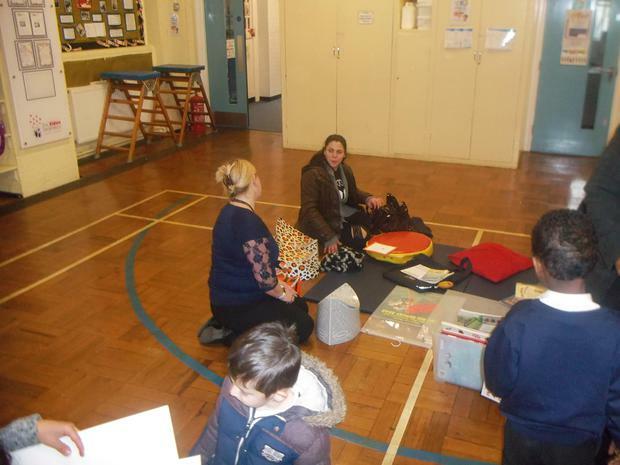 The Year 2 teachers would like to say a huge thank you to the parents for all their support this half term. We wish you all a lovely, restful holiday and see you in the summer term! Remember that school starts again on Monday 16th April 2018. 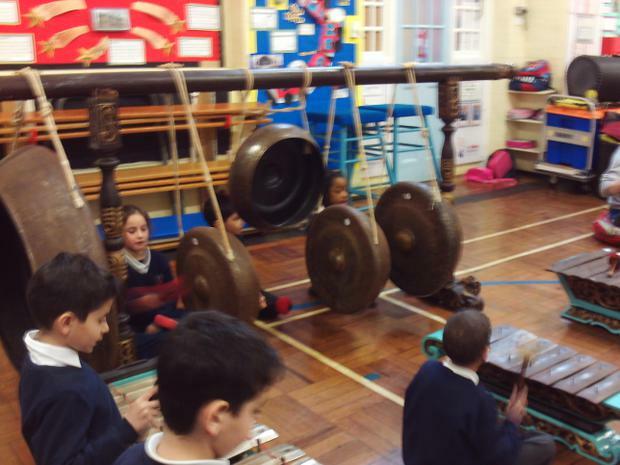 We were extremely lucky to have a ‘Gamalam’ workshop visit our school. 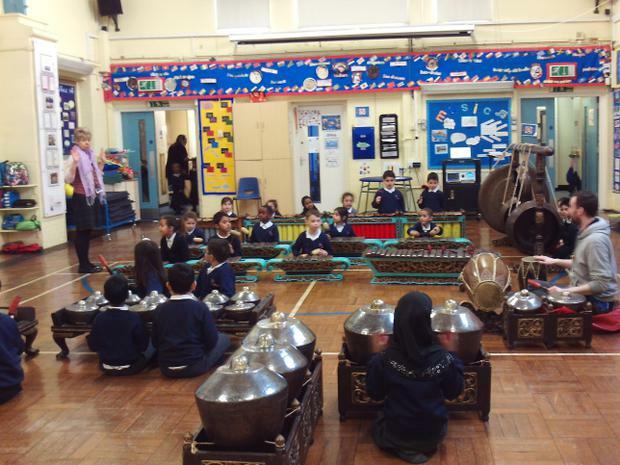 They taught us how to play very special instruments from Indonesia. 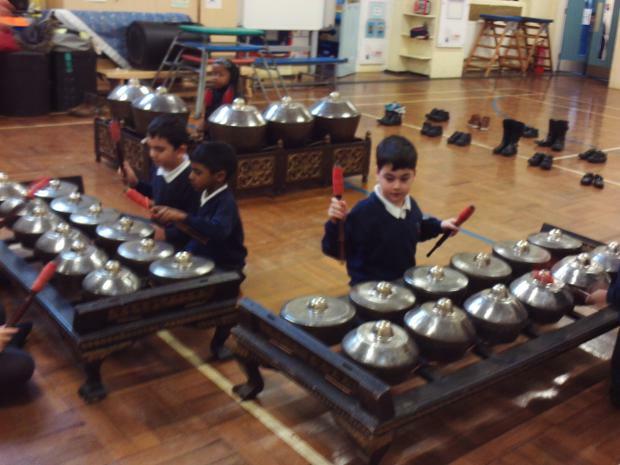 We treated the instruments with great respect and had a lot of fun playing them. 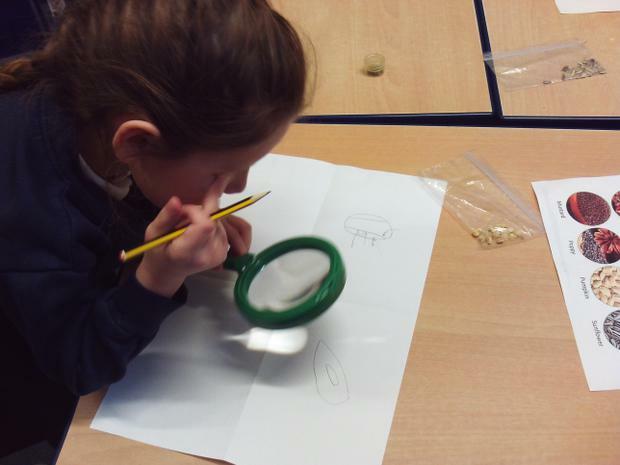 We have been learning about plants this half term in science. 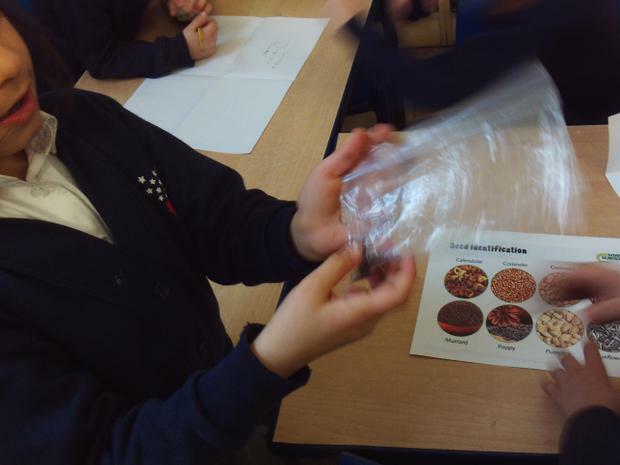 We started by looking at different types of seeds. 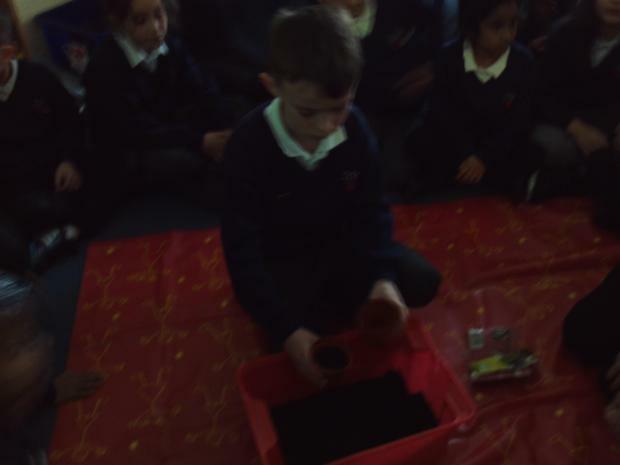 Then we planted some seeds in pots and in a large box. 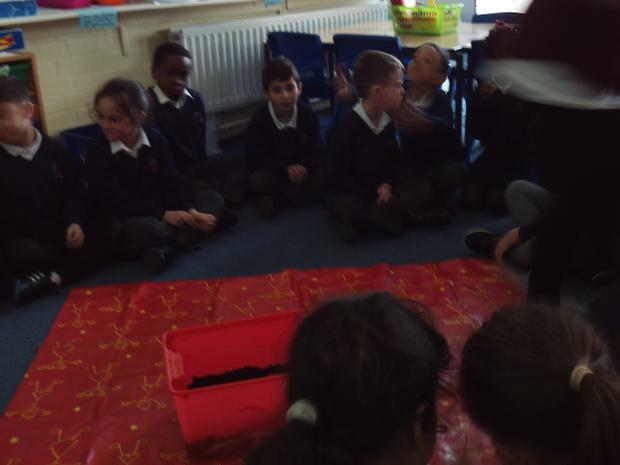 We made sure the seeds were deep in the soil and they got plenty of water and light so that the plants could grow. We will wait until the summer to see how much they have grown. 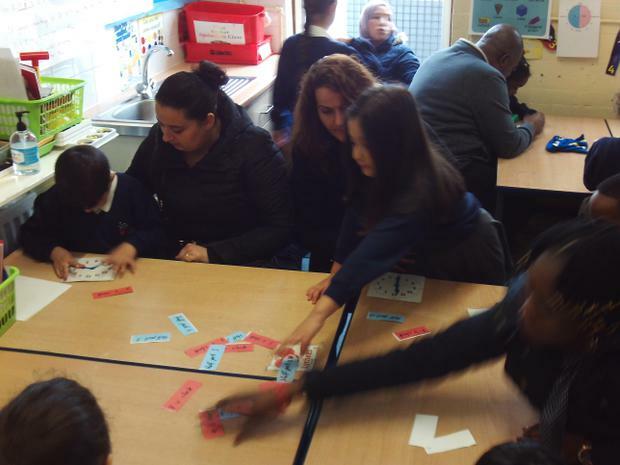 This half term, the parents were invited to watch us learn in our maths lesson. 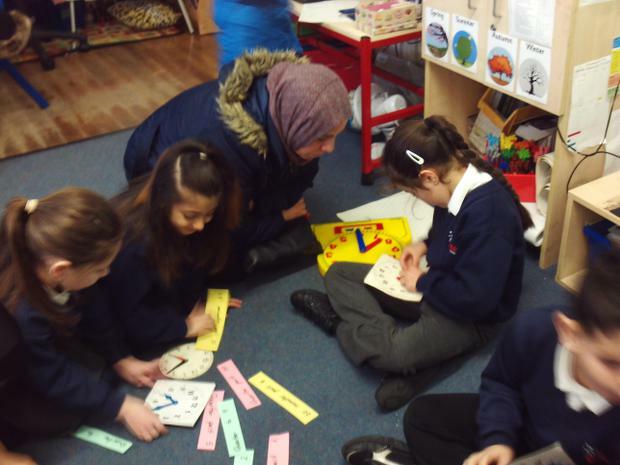 We learnt about time and they helped us make different times on our clocks. 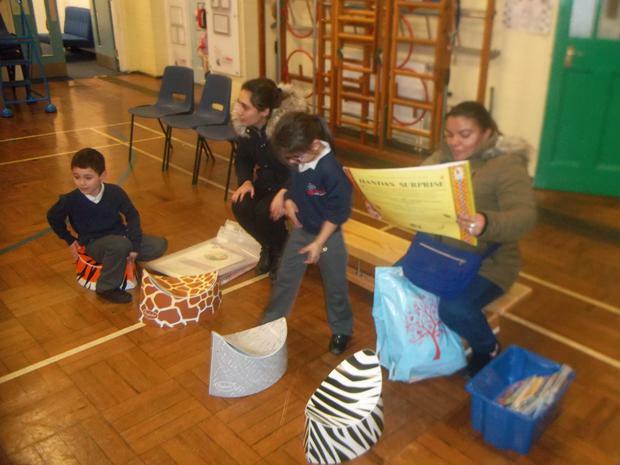 We love our parents coming into school to see what we learn and we hope they can come more often! 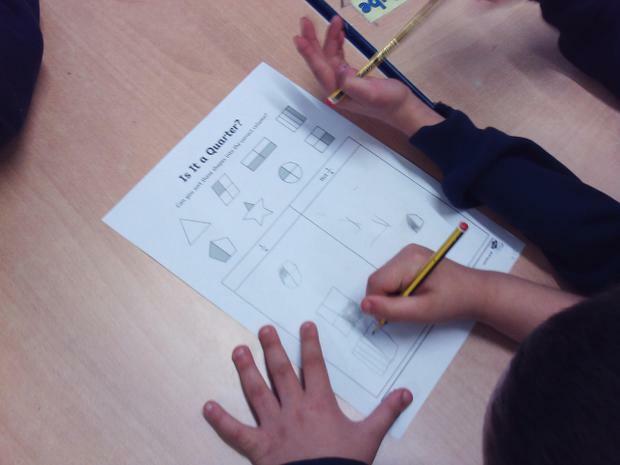 We have also learnt about shape and fractions. 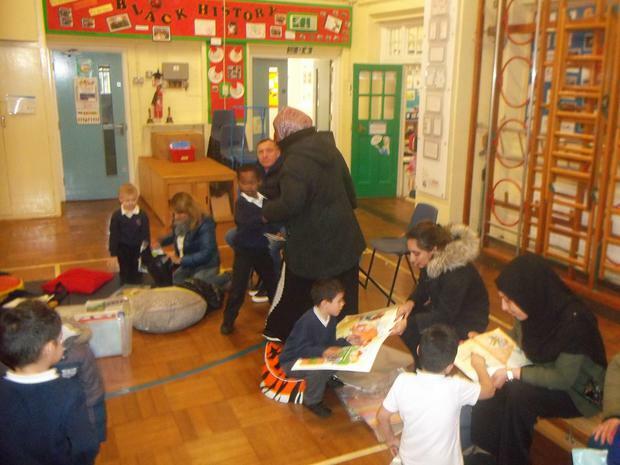 The parents also came to read with us in our ‘drop in and read’ sessions. 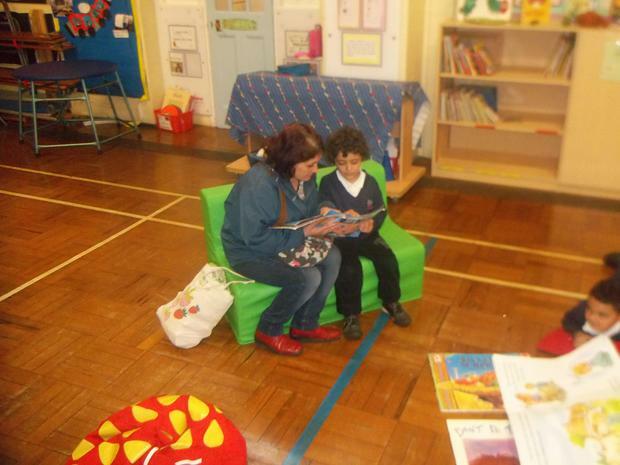 Reading is extremely important and it helps us develop our writing skills as well. 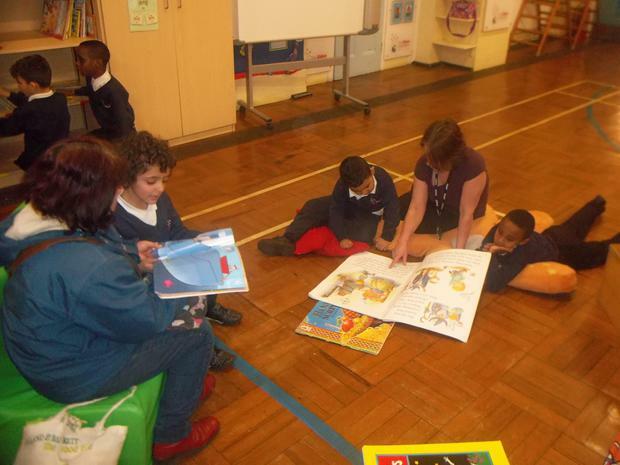 We must make sure that we read every day, especially at home, if we want to improve and become fantastic readers. 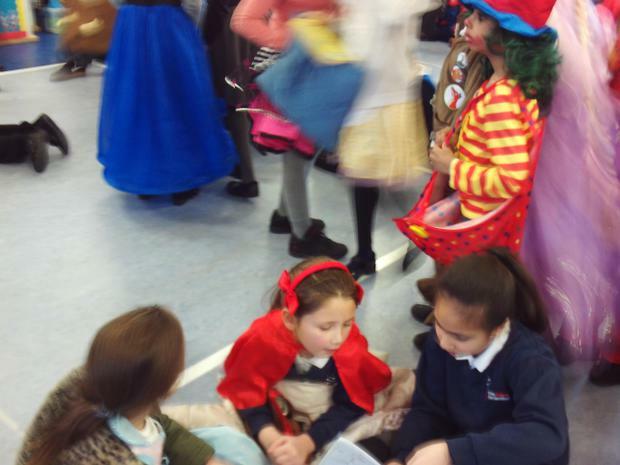 We had a fantastic time dressing up for World Book Day! 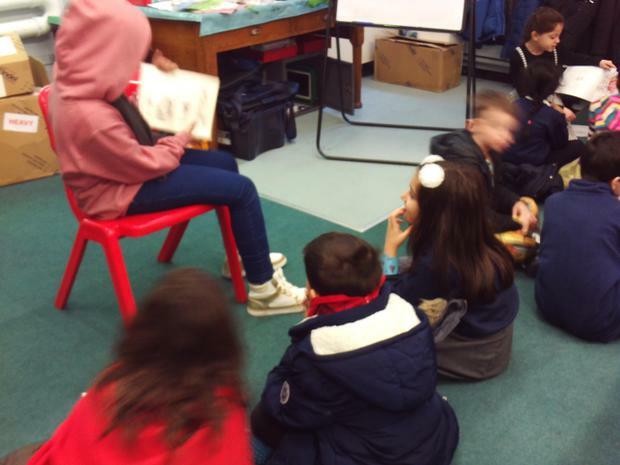 We went to the Junior building and read some books with Year 4 children. What have Year 2 been up to these past few weeks? 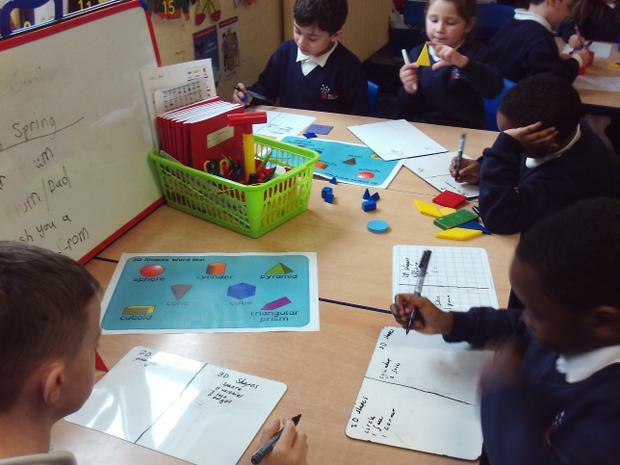 In maths, Year 2 have developed their understanding of the various operations; addition, subtraction, multiplication and division. 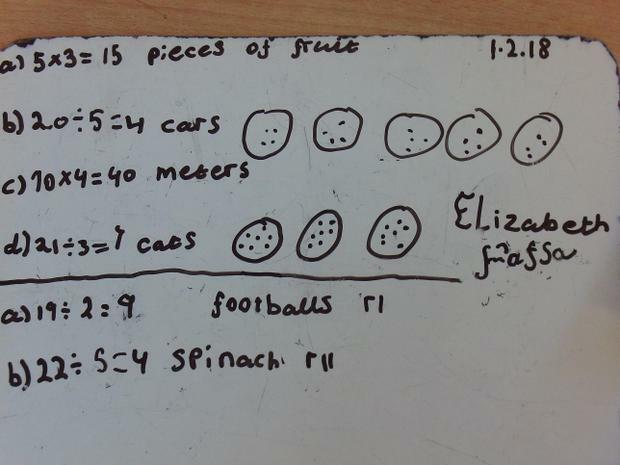 We have also been practising partitioning during our place value lessons and we now understand that maths is everywhere, not just in our lessons. 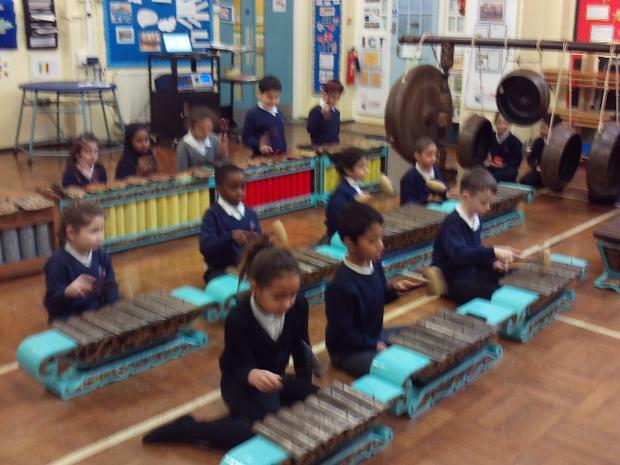 We are really looking forward to the rest of this Spring term and cannot wait to share our learning with you. 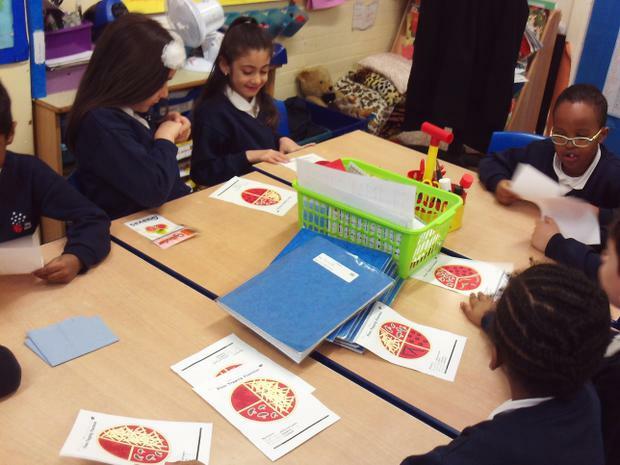 During our geography lessons, we used atlases to locate countries around the world and their capital cities. 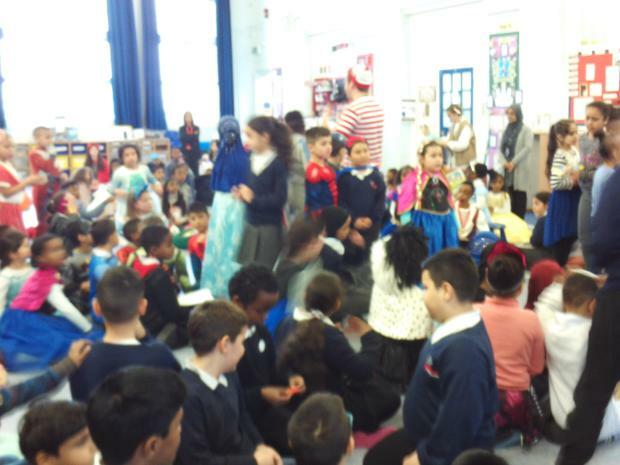 This was a lot of fun and we learnt about the United Kingdom, as well as which countries our friends are from. We designed and made our own fruit smoothies for design and technology using different fruits. We then drank them and they were delicious! 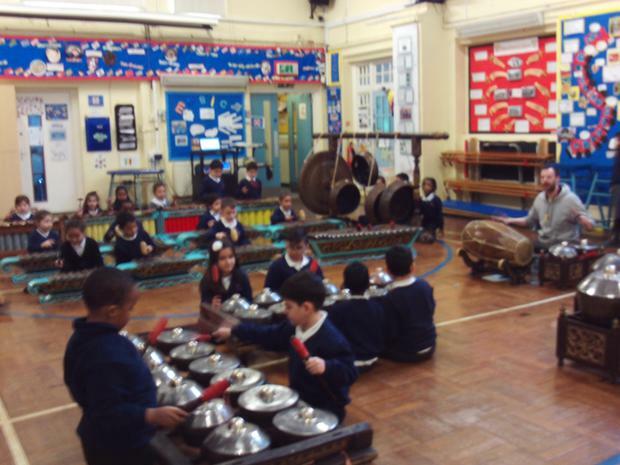 We have been doing many exciting things this half term. We visited the fire station where we learnt about fire safety and we even got to use the hoses that real fire fighters use! 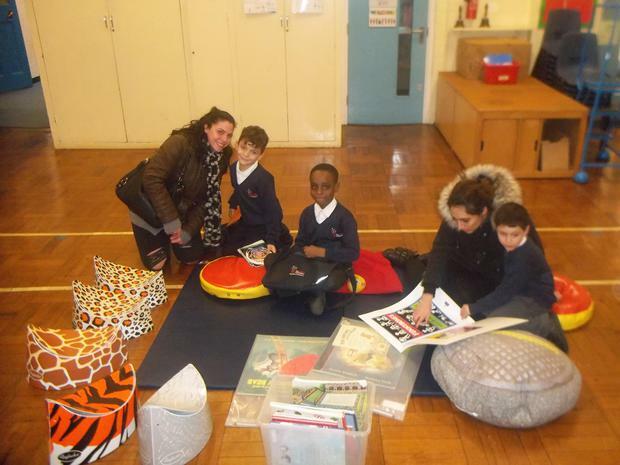 Our first focus story of the half term was ‘The Tiger Child’. 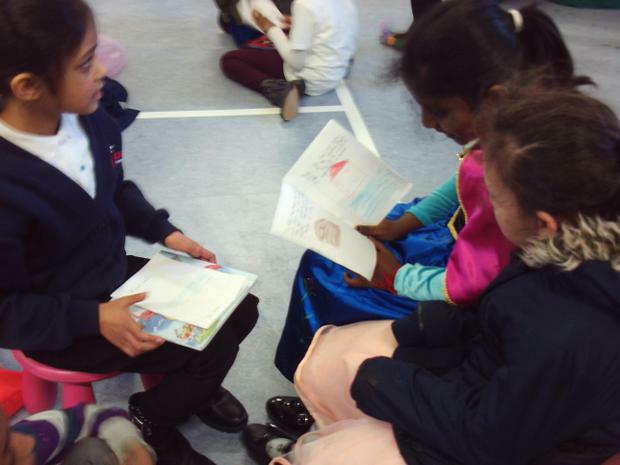 We acted out this Indian folktale and eventually created our own version of the story. We also created our own version of an Indian village using different materials. We learnt how to draw our own story maps to help us create a story. Next we learnt all about the Great Fire of London. We are all experts now so ask us some questions about this horrendous fire. Year 2 will be visiting the local fire station on Monday 6th and Tuesday 7th November. Please check which day your child will be visiting with their class teacher and ensure your children are dressed suitably for the weather on these days. 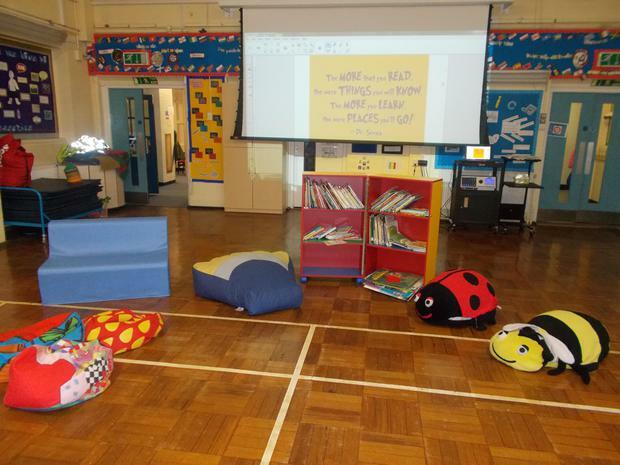 What did Year 2 learn between 25.9.17 and 16.10.17? 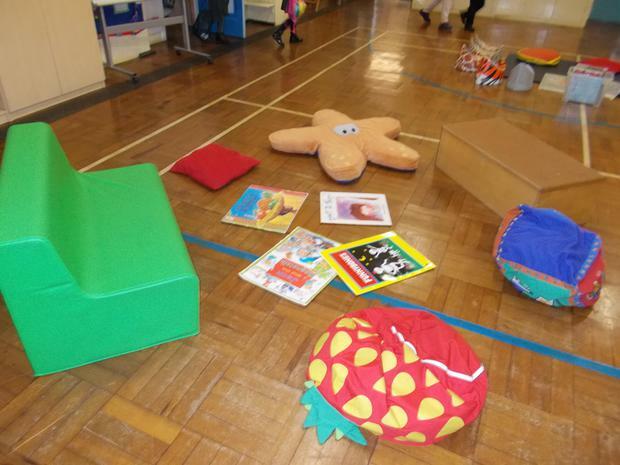 The last few weeks of the first autumn half term were extremely busy for the Year 2 children! 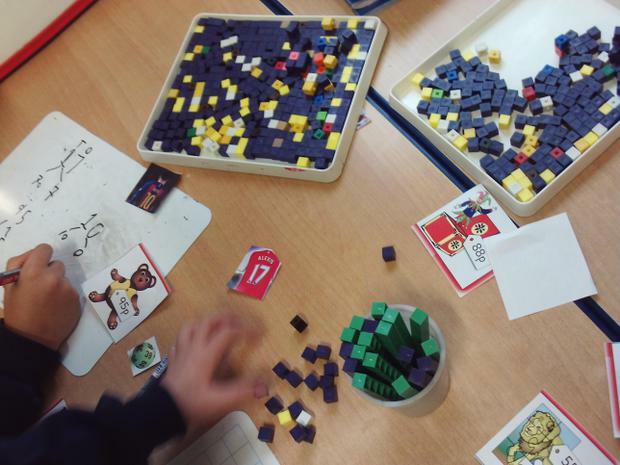 In maths, we moved on from place value to addition. We learned how to add by drawing a blank number line and by partitioning. 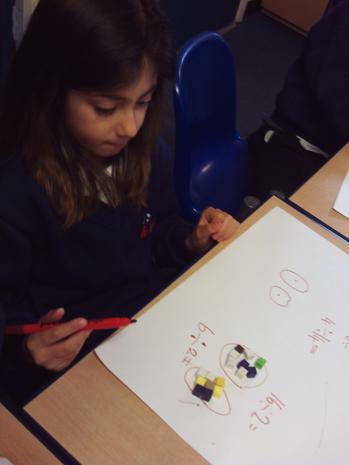 Next we looked at multiplication. 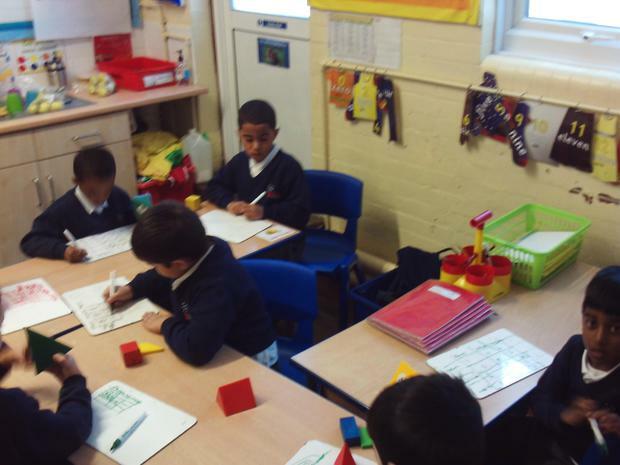 “Multiplication means groups of or lots of” – Adelaida, Hedgehog class. 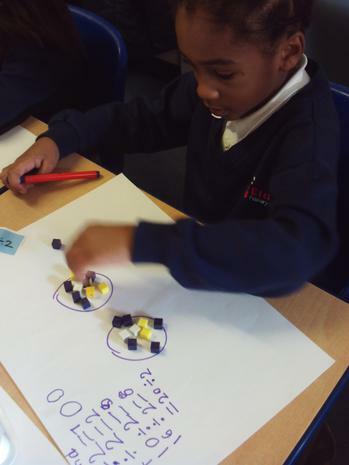 “We can also solve multiplication questions by doing repeated addition or making arrays using different things.”– Ellijah, Hedgehog class. 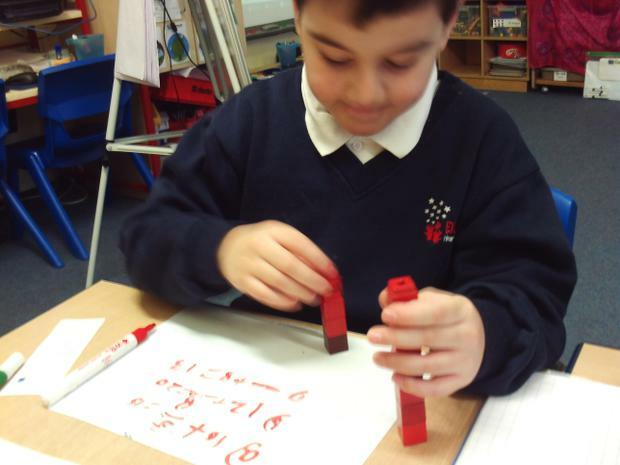 We also made up our own multiplication word problems so that we could understand this operation a bit more. 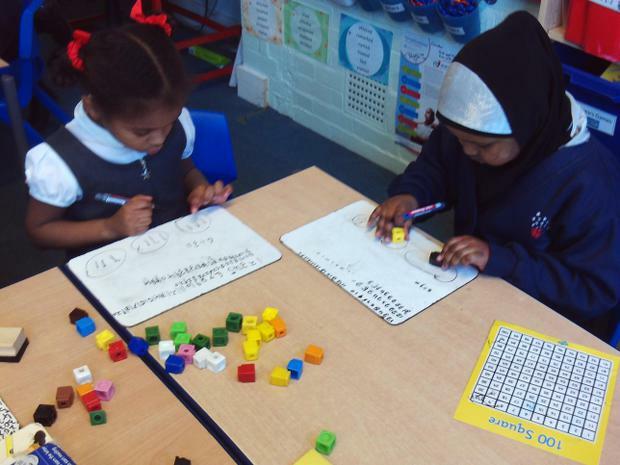 Parents, please help your children to learn their 10, 2 and 5 times tables. 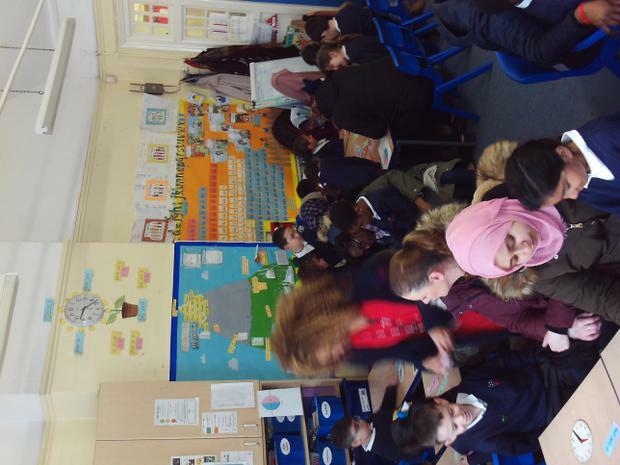 Our last topic was ‘time’. We learnt how many minutes are in 1 hour and how many seconds are in 1 minute. 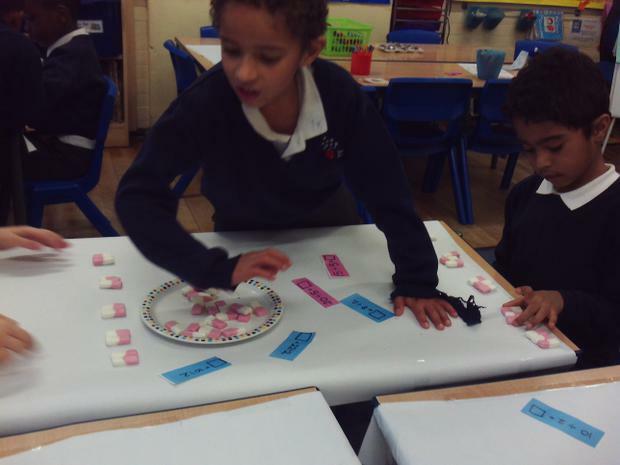 We also made ‘o’ clock, half past and quarter past times using tiny clocks. After this, we drew the hour hand and minute hand on blank clocks. We can tell the time accurately now! 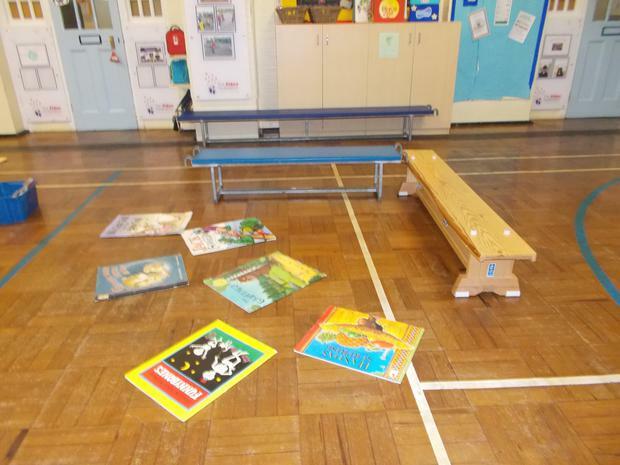 In our topic/ literacy sessions, we focussed on transport using the book called ‘Journey’. This book was special because it had no words. 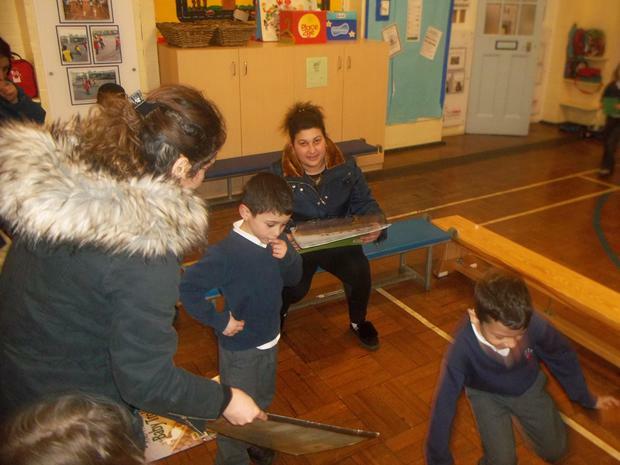 The teachers gave us the pictures and we predicted what happened before and what would happen next in the story. Then we wrote our own versions of the story. 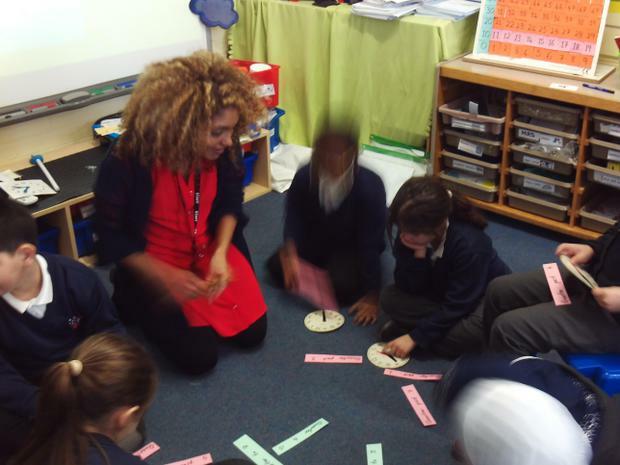 We tried to remember our capital letters, full stops, finger spaces, conjunctions and past tense verbs. Parents, please continue to practise handwriting with your child at home on the weekends and over the holidays. 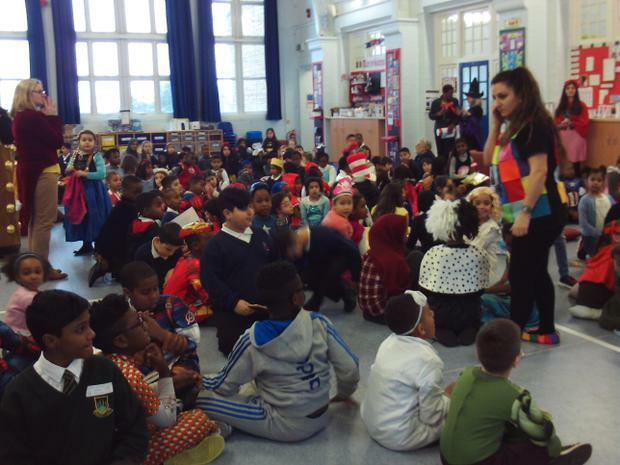 The last week before half term was Black History Week. 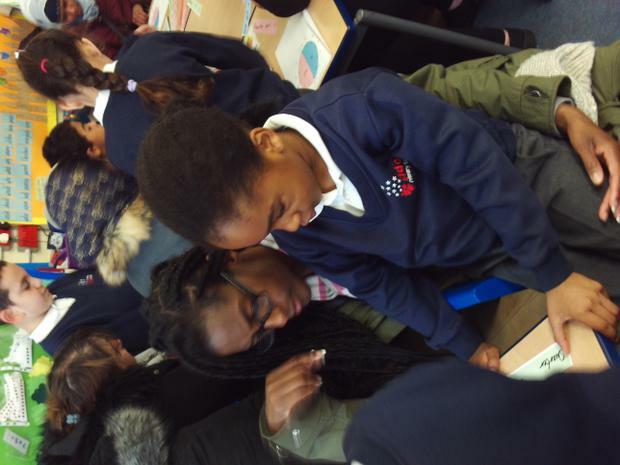 We did a few activities including making African Maasai necklaces, performing various dances from other cultures and singing/ using instruments to replicate songs from other cultures. We hope everyone has a wonderful half term and the teachers look forward to seeing you back at school on Monday 30th October 2017. 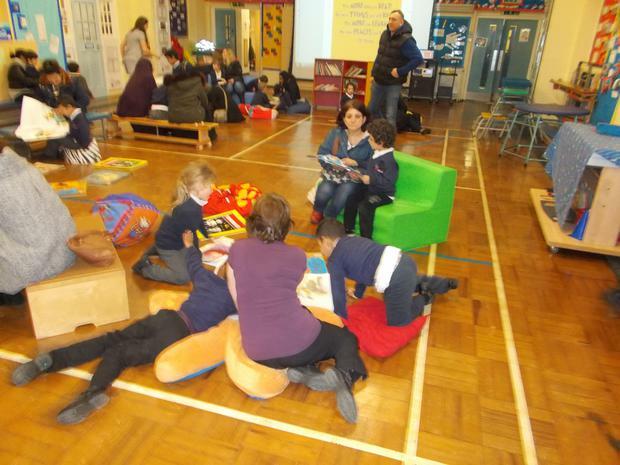 What a brilliant start to the school year we have had! 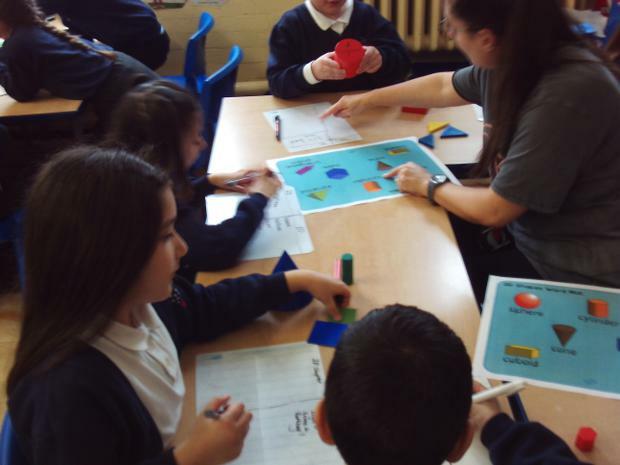 Our Autumn half term topic is ‘transport’ and we have discussed many different types of transport on the ground, in the air, in the sea and in outer space. 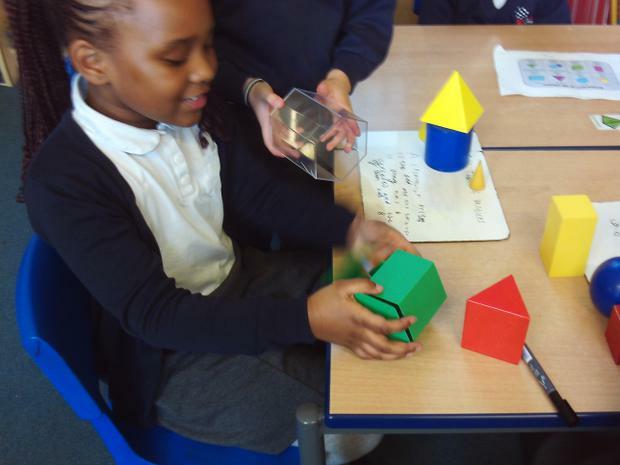 The children walked to Edmonton Green bus station and completed a ‘traffic survey’. They counted the number of cars, buses, lorries, motorbikes, bicycles, trains and aeroplanes that they saw. 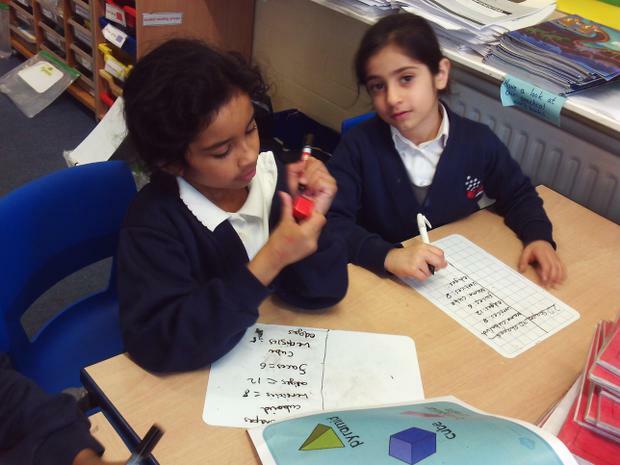 In literacy, they have been discussing the differences between fiction and non-fiction. 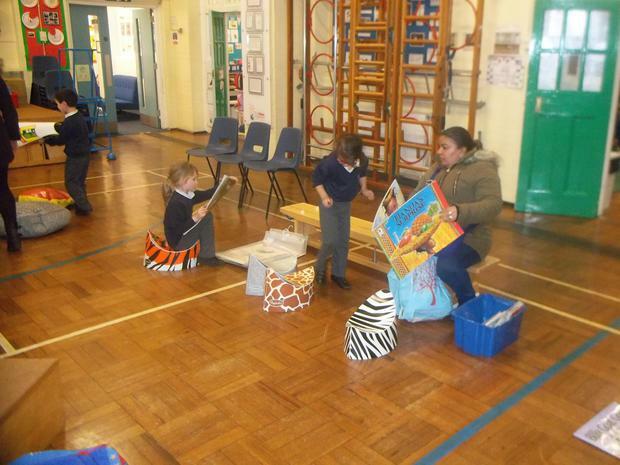 They looked at different non- fiction books and created their own fact files about different types of transport. 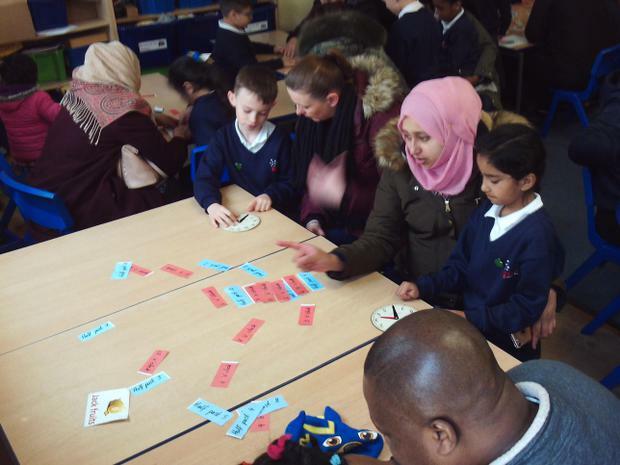 They had to remember their capital letters, full stops and important information. In the upcoming weeks, we are focussing on the book ‘Journey’ by Aaron Becker. 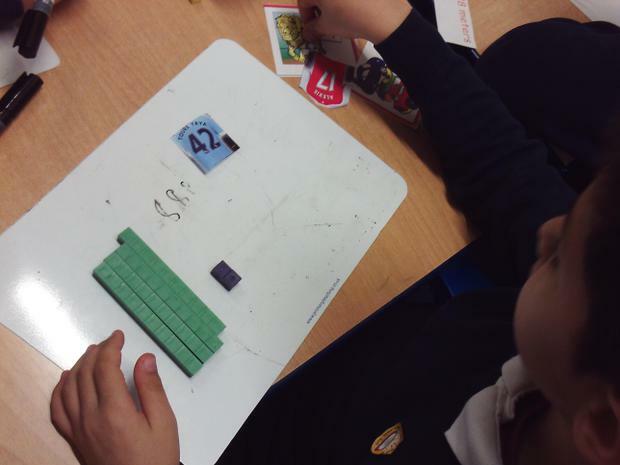 In maths, Year 2 have been learning about place value. 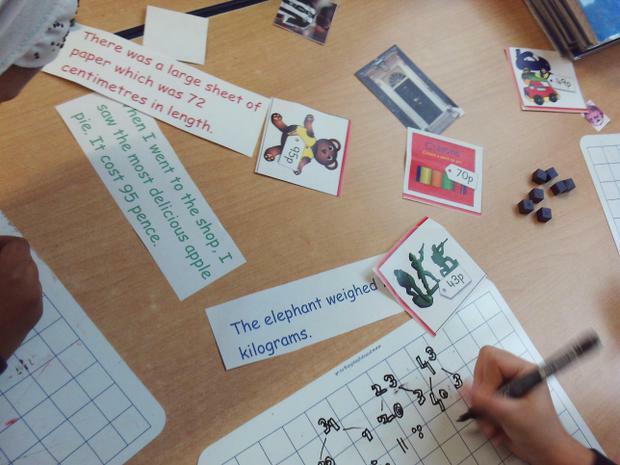 Most children understand the value of tens and ones. 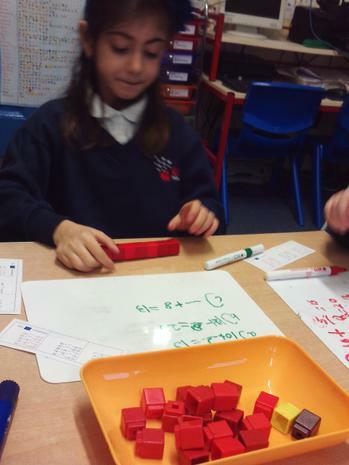 They have also been adding numbers using different methods which include dienes, number lines and partitioning. 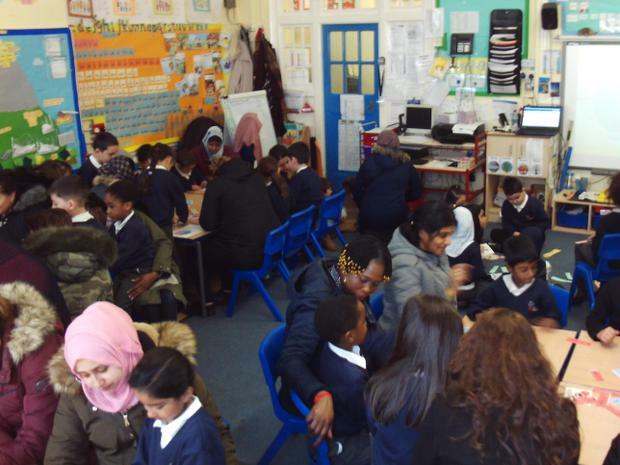 Please continue to read with your children and help them learn their times tables. 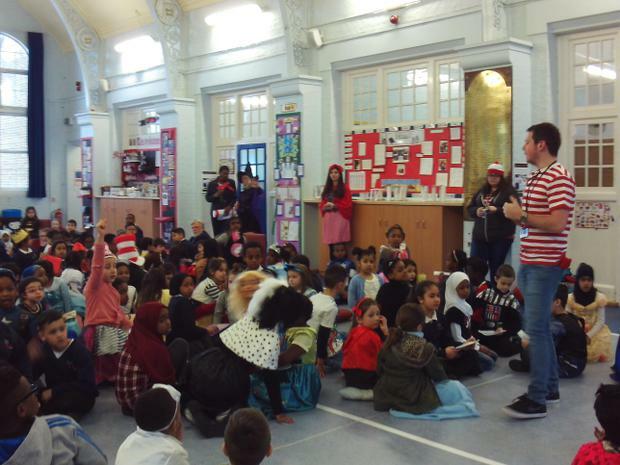 Thank you for your continued support in Year 2.